Organic materials that bring warmth and softness to your interior. The heart of MUSKHANE beats in Nepal, where happiness and simplicity reign. Purity and spirituality are manifested in every gesture. Color, rich and nuanced, beautifies everyday life. 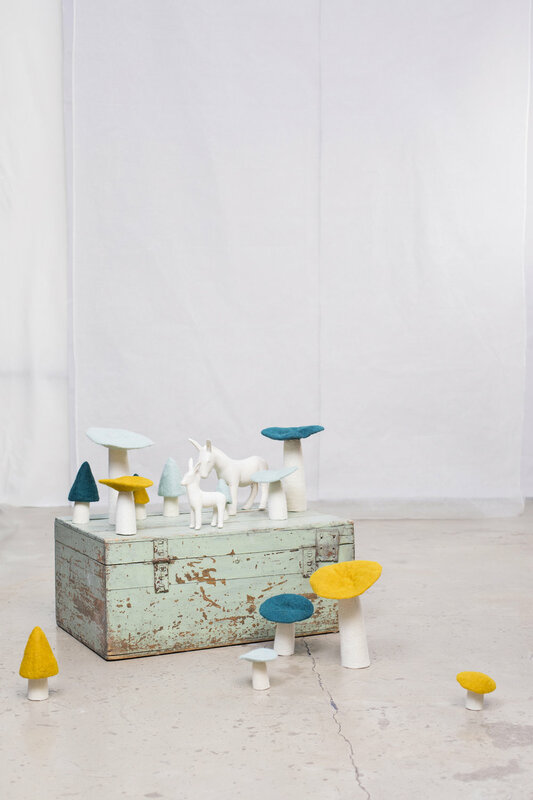 Inspired by this culture and landscape Muskhane creates decorative objects, designed between France and Nepal, composed exclusively of natural, sustainable, renewable materials, all ethically and sustainably hand-made within artisanal cultural villages. Since 2003, MUSKHANE brings you a line of homeware and fashion, deliciously soft, influenced by the Nepalese harmony that is the source of our inspiration. All of our products feature a palette of vibrant colors which are unique to each season. 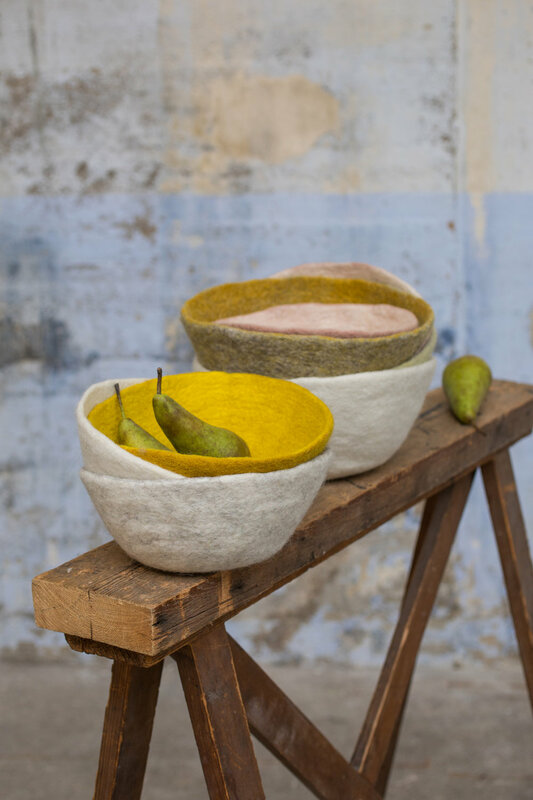 For the home, our collection of felted wool objects brings warmth and softness. Our design pieces give a note of elegance with their clean lines, while our whimsical decorations bring good humour and happiness to your interior. Muskhane is a socially and environmentally focused brand, having lived amongst these Nepalese villagers for many years now, Muskhane strives to leave a minimal footprint on the environment whilst making a positive impact in and on the lives of their partners through fair-trade and sustainable commerce. Respect for our Nepalese partners, the artisans with whom we have built durable working relationships. Respect of the environment, in our use of exclusively natural and renewable materials to create our products, all of which are handmade in Nepal. To find an Australian Muskhane Stockist please see our stockists page here. Want to become a Muskhane Stockist or sign-up to our customer mailing list? Simply fill in the form on our Contact Page and we'll be in touch. A range of objects that you won’t find anywhere else, to make life feel more light-hearted.